With so many job applications being completed and submitted online, it is no wonder that an email address is frequently the first impression an employer receives of their candidates. It is one of the few pieces of information they see immediately in their inbox, and may even serve as the main mode of contact between job seeker and hiring manager. Therefore, it is important that your email address gives the right perception. Check out the tips below for advice on choosing the best address for your needs. While this may be convenient if you spend the majority of the day in your company account, the potential consequences outweigh the benefits in most cases. For example, if you have not informed your boss that you are considering leaving, using a corporate account exposes your plans to any number of personnel who have access to the company accounts. Sending job search correspondence from your business email might have consequences for your chances of obtaining a new position as well. If the hiring manager has a low opinion of your current company, even if the reason has no direct connection to your role, it may negatively affect how s/he reads your application. Additionally, using a corporate email for non-work-related tasks will likely concern potential employers regarding your use of company resources. Avoid the risk entirely and simply keep the job search out of your work inbox. There is one particular instance when using your work email address is probably the best option. If you currently run your own business or domain, sending from your affiliated account will support your credibility and call attention to the achievements and skills you gained during self-employment. If you choose to go this route, take some time to review your website and ensure that it is up to date and ready for future employers to see. Your domain name will give them the opportunity to dig deeper into what you could bring to their business. Bottom line: Unless you are self-employed, do not use your work email. The decision of whether or not to use a school email address is more complicated, and requires some more thought. Make sure to consider the school’s reputation, particularly how well known it is in your field. If your school is especially respected for producing strong, prepared professionals in your area, using a college or university domain may actually boost your chances of landing the job. Keep in mind, however, that using an .edu address also makes it look like you are new to the working world. If you graduated a several years ago, avoid using your alumnus/alumna email account. Even if the address indicates that you are no longer a student, employers are more likely to expect a recent graduate when they see the educational domain in their inbox. You should also be cautious using this address if you are applying for a non-entry-level position, as employers may assume you have little or no working experience in your field. Bottom line: Consider the school’s reputation and the position level you are applying for when deciding whether to use an educational account. This is the safest way to send your emails. It says nothing about your schooling, level of experience, or use of company time. That does not mean that all free services give the same impression, though. Deserved or not, certain domains and services tend to carry different meanings. For example, AOL addresses are rarely used anymore because they are commonly considered archaic. Using an .aol address may lead a hiring manager to assume you lack technology skills to support your success in the available position. 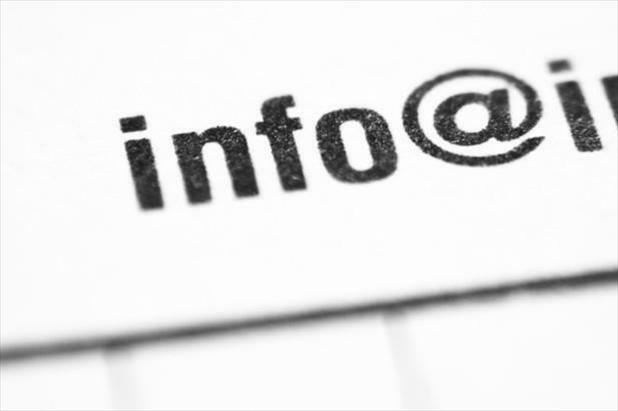 If technology plays a significant part in the roles you are applying for, consider establishing a new email address for your job search using a widely used service such as Gmail or Microsoft Live Outlook. Check out this blog post for more on what your email provider may be saying about you. Bottom line: The safest option, especially if you use a more prevalent service. Regardless of the service you choose for your job search email, it is absolutely essential to review your username. An address with an unprofessional nickname is inappropriate for any workplace correspondence. Consider adopting a username that includes your name and, if necessary, a relevant year—such as when you were born, when you graduated, or the current year. Because the address contains your name, it will be much easier for the employer to remember. It gives a much more polished and formal tone to your application, even before the employer opens it. Bottom line: Just keep it professional! By ensuring that you give off a professional air straight from the inbox, a well-planned email address can make you immediately stand out from the competition. If you find that you are having difficulty juggling your job-search emails as you get deeper into the process, check out this article on managing your job-search inbox. Catherine Powell— What Does Your Email Address Say About You?